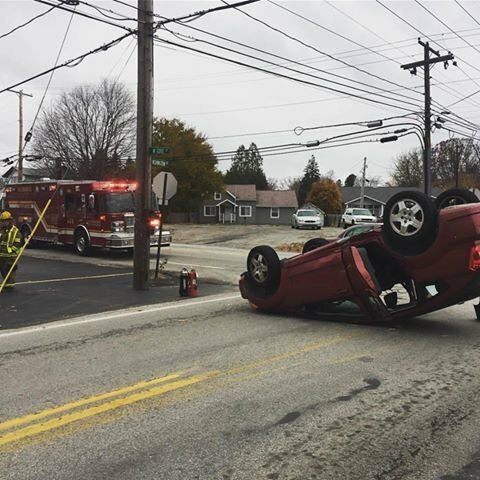 Kearsarge responded to a motor vehicle accident at West Gore and Washington this afternoon. Crews found 2 cars with minor damage and one car on its' roof. MPS rendered care to the parties involved while Kearsarge crews established a safe scene and preformed clean up. Chief 451 had command.